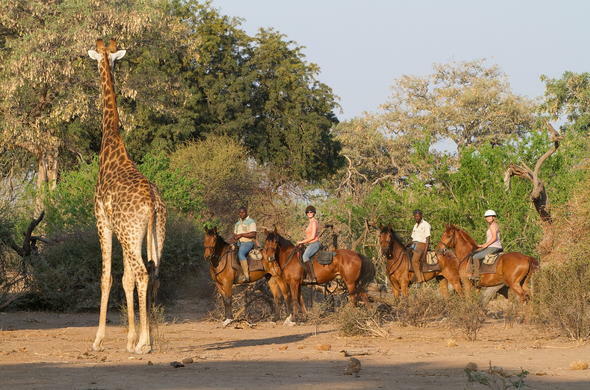 This 5 day Botswana Adventure Safari is ideal for travelers who are looking for an unique Botswana safari experience - horse riding and cycling in the African bush. This Botswana adventure offers an intimate getaway to one of Botswana's best kept secrets, where ancient Africa still lives on. 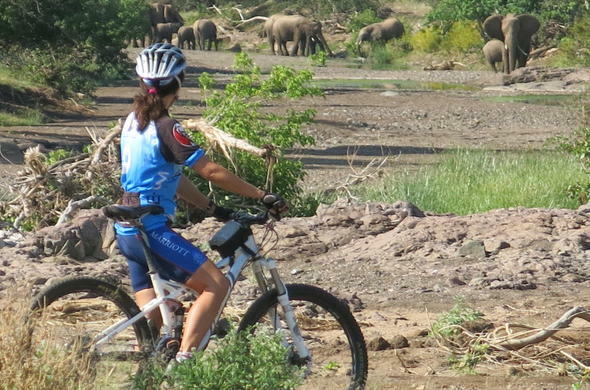 All your senses will be fully engaged as you take in the endless blue skies and spectacular scenery while on truly exciting game drives, horseback safari and cycling tours through the Botswana wilderness. This pristine wilderness has an ecological diversity that is uncommon in other reserves. You'll see vast herds of Elephant, the largest on private land on the planet, Lion, Cheetah, Leopard, Eland and now Wild Dog amongst many other fascinating animals. Bird life is prolific and you could spot specialties such as the Lilac-breasted Roller and the Kori Bustard. Relaxation is a key element at the bush camp which provides traditional creature comforts. Each suite enjoys a private bush setting and you can look forward to delicious meals packed with the flavours of Africa. Your extremely experienced ranger and tracker will see to it that you come away with unforgettable memories of your Botswana safari. From Johannesburg take a flight to Polokwane where you will be met by a representative. A 2-3 hour road trip awaits you. Cross the border into Botswana, passing through customs and immigration and after a scenic drive end up at your destination - a hidden Botswana safari lodge in the northern section of Botswana - known as the Tuli Block. After a warm welcome and check-in, you can freshen up in your room before meeting for snacks on the terrace overlooking the waterhole. In the late afternoon set off on your first game drive with an experienced game ranger and tracker. On the drive back to the bush camp a powerful spotlight will be used to search for nocturnal wildlife. Your day begins with an early wake-up call and tea, coffee and snacks before you set off on an exciting morning game drive to explore the wonders of nature in this private reserve. Later, you'll return for brunch and some leisure time. 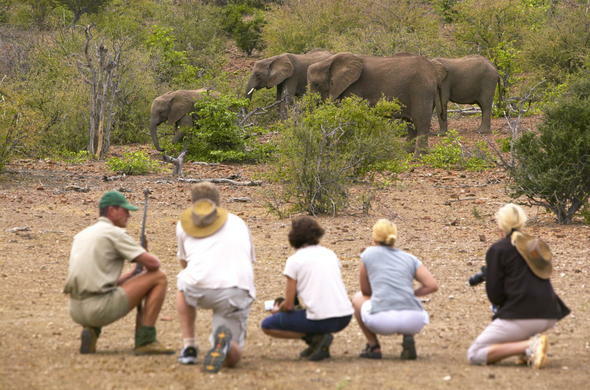 You could opt for a fascinating optional guided bush walk with your armed ranger, have a siesta or simply relax around the pool before High Tea and the evening game drive. Saddle up on one of the many horses that have been individually selected and are of various breeds. 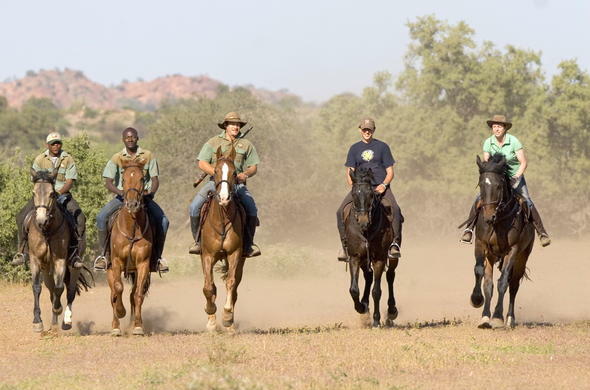 Spend your next two days discovering the Botswana wilderness as you traverse the Mashatu Game Reserve in Botswana on horseback, bicycle and open safari vehicle. The area has great diversity, magnificent views and dramatic rock formations bordered by the Limpopo River. You should be able to spot herds of elephant and a large variety of wildlife species during your Botswana safari adventure. You could enjoy one last early morning game drive to round off your game viewing experience or take time out for a lie-in and a relaxed breakfast. After check-out, you'll say your farewells before your road transfer back to Polokwane for your onward flight. This Botswana safari adventure can easily be combined with other destinations in Botswana or South Africa. 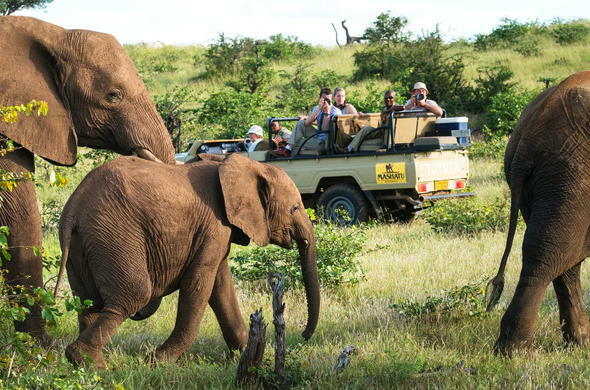 We recommend extending this trip with few days in the Kruger Park and/or Cape Town.